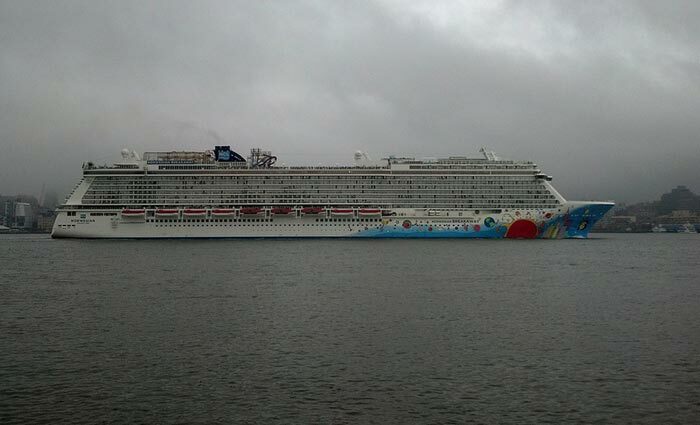 An 87-year-old female passenger was medevaced yesterday from NCL’s newest cruise ship the Norwegian Breakaway. At the time the large ship was 38 miles east of Ocracoke, N.C. The woman was in medical distress when the ship’s crew contacted the Coast Guard at 11:30 am on Monday. The passenger is now in a stable condition and being treated at a medical center on land.